I think i am able to adopt this for my setup without the solar power part. When using this setup: i need one pump per plant. Is there a more efficient setup with one pump and valves? I searched for valves, but they seem to be far more expensive that these cheap pumps? Can someone explain to me, what the items below the arduino are used for? 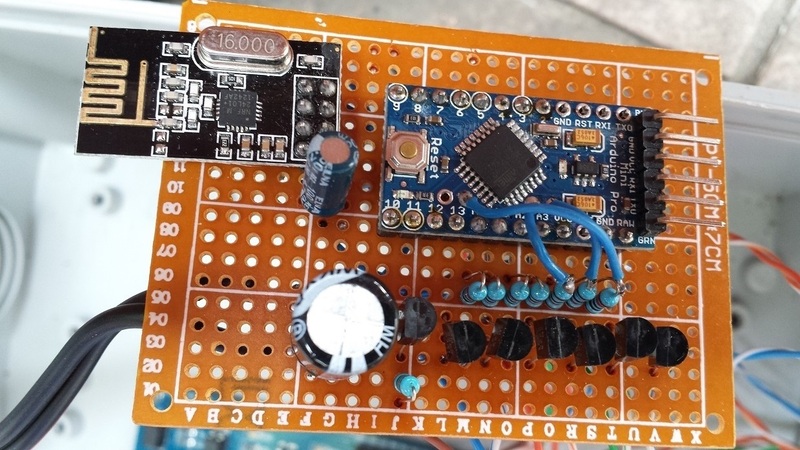 when using a 12v power supply a can use it to power the pumps (directly), the 5v arduino (via the RAW input pin) and the radio (via the 5V pin of the arduino + a 3v regulator)? Is that correct? did i miss anything? Any idea, how many pumps should run at the same time? or should it be limited to one per time on the controller side? Anything i should think about?